Right around this time last year, Oscar Isaac was totally blowing my mind as the titular character of the Coen Brothers' Inside Llewyn Davis. I'd enjoyed his work in movies like Drive and the sweet but under-seen 10 Years, but it was his turn as the talented yet mopey folk musician that truly won me over and convinced me that this guy is destined to be a perennial Oscar contender for at least the next decade. In the meantime, Isaac has been a hot commodity for every major film franchise under the sun. He recently finished shooting a leading and possibly roguish, Han Solo-esque role in Star Wars: The Force Awakens and he's been on Marvel's short list to play Doctor Strange for ages now. But instead Isaac has planted his flag over at Fox, signing on to play Apocalypse in Bryan Singer's next X-Men film. Solely from a logistical standpoint, this makes a lot of sense: the guy's gonna be pretty busy in a galaxy far, far away for the next few years, so taking the lead role in another major franchise would likely burn Isaac out and prevent him from shooting the kind of adult, artistic films that he truly loves. * By playing a one-time villain in a very isolated series, Isaac gets to collect a comic book paycheck and still keep the door open to appear in either the Marvel or DC cinematic universes somewhere down the road. I will say I was expecting Singer to go with someone with a more imposing physical presence (Tom Hardy's name was bandied about quite a bit) but, based on the picture above, I expect that the character will eventually be realized with the aid of quite a bit of motion capture. 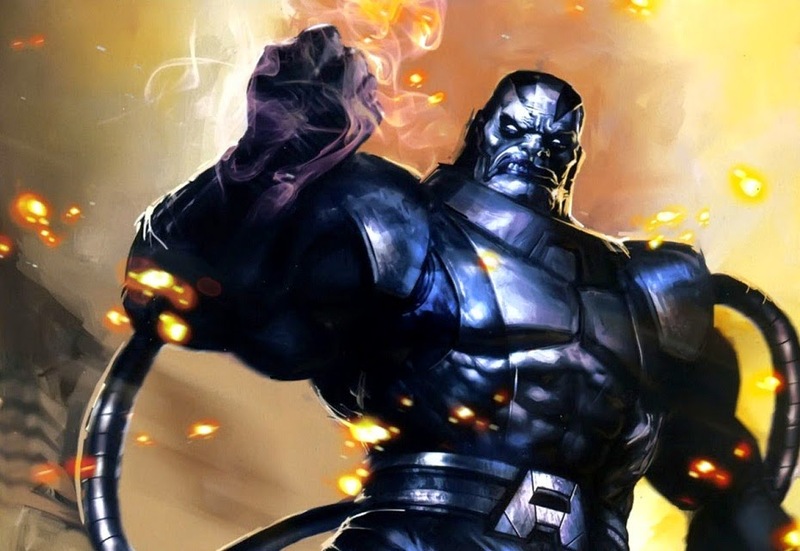 I'm also curious to see just how far they go with Apocalypse's giant purple cheek-lips, as it's one of the few facial features that distinguishes him from Darkseid and Thanos, both of whom will also be getting some serious screen time in the next couple of years, inevitably leading to some poor kid getting the wrong action figure for a future Christmas. *I talked to Isaac for a few minutes following a Llewyn Davis screening and he was both polite and gracious as I asked him to recommend some titles for my movie-a-day project. He offered up some rather obscure Russian art films that I eventually tracked down but did not get a chance to watch before my year was up.